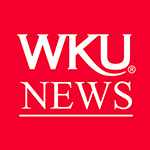 The WKU Board of Regents approved an honorary doctorate for Zuheir A. Sofia. 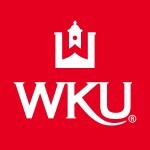 Sofia, who will receive the Honorary Doctor of Business Leadership, is a 1969 WKU graduate with degrees in economics and business administration. He is chairman, president and CEO of Business Bank of Florida Corp. and chairman of Sofia & Company Inc. He was inducted into WKU’s Hall of Distinguished Alumni in 1998. In addition to establishing the Sofia-Downing International Center, he has funded the Capps-Wurster International Student Scholarship. Vice President for Alumni and Development Kathryn Costello said Sofia came to WKU from Lebanon during a time of turmoil in his home country. She said he had little money and knew little English, and credits WKU with providing him the education to become successful. 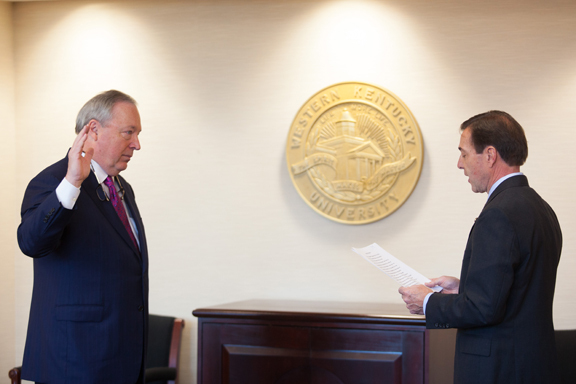 Swore in Gillard B. Johnson of Nicholasville as regent. Board Chair J. David Porter of Lexington administered the oath. Kentucky Gov. Steve Beshear recently appointed Johnson to a six-year term. Approved new majors and minors in Arabic and Chinese. Approved selling .85 acres at the intersection of U.S. 31W and University Boulevard to the Kentucky Transportation Cabinet for $463,100. The cabinet plans to reconstruct the intersection into a roundabout beginning in April 2014. Approved changing the name of the Department of Marketing and Sales to the Department of Marketing. Approved creating the Department of Psychological Sciences within the Ogden College of Science & Engineering. Approved emeritus status for Vernon L. Sheeley, Counseling and Student Affairs; Nicholas C. Crawford and Michael Trapasso, Geography and Geology; Russell H. Moore, English; and Alan B. Anderson and Jan E. Garrett, Philosophy and Religion. Approved an employment contract for Softball Coach Amy Tudor and an amended contract for Volleyball Coach Travis Hudson. Approved a resolution of appreciation for former regent Jim Johnson of Bowling Green. Johnson served from July 2007 to July 2013. Contact: Bob Skipper, (270) 745-4295.